As we draw closer towards mid-year 2018, there seem to be more audio interfaces than ever in the market – which should you choose? 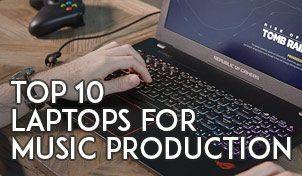 It shouldn’t be tough to choose one, but some thoughts need to be placed when you’re shopping for one, as it’ll be your studio’s centerpiece in your run of producing music. Think of buying an audio interface as an investment. Some music producers prefer smaller interfaces as they plan to bring them around to make music. And some prefer interfaces with better DAC (Digital-to-analog) components – for the best sound possible. Depending on what you do, whether producing film scores or electronic music, sometimes all you need is a single input interface. But if you’re recording bands every day, then you probably would need audio interfaces with more inputs. An audio interface is simply a soundcard that allows you to record analog audio to your computer, turning it into digital audio and vice versa. What do you really need it for? Mixing? Producing electronic music or film scoring? These are the questions you need to ask yourself before you set out to purchase an audio interface. 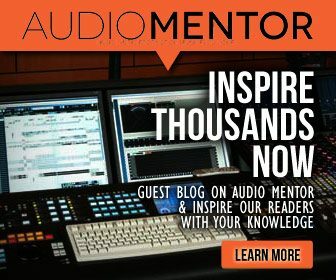 Need to learn more about audio interfaces? Read this post on what is an audio interface. But just quickly, here are 3 things to consider, before hitting that buy button. The number of inputs & outputs you need – if you’re planning to record with many microphones (like a band), you’d want to try to get as many inputs as possible. If you think you’re going to need even more inputs in the future, get an audio interface with ADAT optical inputs. Type of connectivity – USB remains the most popular type of audio interface connection. But it’s not the fastest. Thunderbolt offers faster and lower (zero-latency). Try to avoid getting interfaces with system-propriety connections. Remember audio interfaces with the 30-pin iPhone connections? Nope. Manufacturer Support – Because our audio interfaces are designed to work with computers, PC, and Mac, it is good practice to ensure the manufacturer you’re buying from offers updated support for your interface. The last thing you want is an interface that does not work with your latest computer OS. A disclaimer before we go to the top audio interfaces. Truth to be told, there are no such things as the best audio interface. People love asking for the best stuff. But the answer is always the same, it depends. To choose one that works best for you, look into your priorities and point of view. This list here is supposed to help you find the best highlights of each interface. Let’s get started. Arturia has been stepping up their game lately with the latest AudioFuse. Best features of the Arturia AudioFuse is that it comes with a talkback microphone built-in. Perfect for studio owners with a two-room setting. There’s also room for an upgrade as the Audiofuse comes with an ADAT connection, enabling you to extend its current 2 mic inputs to a 14-in /14-out setup. The AD/DA conversion goes up to 24-bit/192kHz as well. Need more features? It has a built-in USB hub, 3 USB 2 ports to be exact – for all your connectivity needs and comes packed with 2 headphone jacks with also a 1/4″ and 1/8″ connection, so even if you forgot your headphone adapters, you could still use your 1/8″ headphone jack. You’ll find funny MIDI connectors as 1/8″ jacks that actually works as a breakout cable for all your MIDI connections. There are also 2 phono preamps that allow connections to turntables. All these features packed in, and the Arturia AudioFuse can be bus-powered from a single USB cable. Interestingly, when bus-powered, the max output level will be limited to +18dB max and USB hub functionality will be disabled – to save your laptop, computer or phone’s battery life. When you plug in the DC power adapter, the maximum output headroom will be extended to +24dB and USB hub will be enabled. The idea is to go bus-powered, when on the road and use the power supply for maximum performance. The Arturia AudioFuse is a nice complete all-rounder audio interface that would suit many types of recording and producing styles. Any studio will find it irreplaceable. Has all the connections you’ll need. There’s even a grounding cable option! Built-in talkback microphone for studio recordings. Can run USB bus powered. Has slightly higher latency compared to most interface at its class, as it uses generic audio drivers. The highly packed Control Center software can be confusing. Want value for money? You’ll never go wrong with the Scarlett series from Focusrite. At the prices they sell, you get great sounding award-winning pre-amps. Make sure to get the 2nd generation models, as they have been upgraded to record up to 24bit/192khz resolution. The mic preamps on the Scarlett is something you’d love immediately- great sound and large headroom to take on different types of recording jobs. Focusrite has also fixed the issue when recording electric guitars, so, no more worrying about the gain being too low. The whole line-up starts with the solo which has only one input, the 2i2 which is a 2-in/2-out, the 2i4, a 2-in/4- out, the 6i6 which has 6-in/6-out the 18i8 that has 18 ins and out and the 18i20 which has 18 ins and 20 outs. Depending on your requirements, I recommend you get the size that you truly need. However, a good rule of thumb is to always get a minimum of 2ins and 2 outs. The Focusrite Solo with only 1 input, always felt like a painful limitation to me. By the way, if you plan on connecting MIDI instruments, get the Scarlett 6i6. However, with the added connectivity, the 6i6 will require DC power to work. Focusrite has also claimed to record super-low latencies on the Scarlett, as low as 2.74ms when working real-time with plug-ins without the need for a DSP. You also get nice input LEDs on the Scarlett, which color changes as you hit the headroom – useful for monitoring the levels when recording. Absolute value for money. Best buy for beginners. Great sounding pre-amps with plenty of headroom. Comes with plug-in bundles to get you started. The bigger models are not bus-powered. Make sure you check before you buy! Avoid the Scarlett studio bundles when possible. They are easy for beginners, but the microphone & headphone aren’t that great. The Clarett series by Focusrite is the latest addition to Focusrite’s line-up of interfaces. Initially released as a Thunderbolt only interface, the newer models are USB-powered. What sets the Clarett apart from the Scarlett? The biggest benefit of the Clarett is that it possesses a new set of preamps with a feature called Air. It basically takes an analog model of Focusrite’s transformer-based ISA mic pre. This adds that ‘shimmer’ to your top end of our sound. You’ll also be pleased to find that the noise floor is also lower on the Clarett, as compared to the Scarlett series. Generally, the converters in the Clarett are also more superior than the Scarlett. Do an A/B side test, and you’ll hear the difference with a pair of experienced ears. Choices wise, you’re free to choose the interface size that you need, from the Clarett 2pre, 2pre USB, 4pre, 4pre USB, 8pre, 8pre USB and the 8preX (Thunderbolt connection). Generally, if you move around a lot, the 2pre would be great. If you’re grounded in your studio and making most of your music there, I’d go for the 8pre, maximizing the number of available inputs/outputs. Better sounding pre-amps compared to the Scarlett series. Had enough of ‘budget’ audio interfaces and ready to venture into world-class sound quality? If you think the Focusrite Scarlett sounds decent, wait till you listen to the Audient interfaces. The Audient line-up of interfaces features Audient’s console microphone preamp and the JFET DI built in. Why does Audient simply sound better? That’s because the components used to build them are of superior quality. You get better sounding AD & DA converters and mic pre-amps. Granted the price is higher than budget audio interfaces. In fact, the iD4 (entry-model) has only one 1-input. At the price you pay for the iD4, you could get many other audio interfaces with more ins and outs. But if sound quality is a bigger priority to you, choose the Audient. The iD14 has 2-inputs and 2 outputs, which are expandable to 10-ins/14-outs via the optical input connector, supporting both ADAT or S/PDIF. You could record up to 10 inputs at a go with a mic pre-amplifier like the Audient ASP800. Interestingly, the iD22 has the same number of ins/outs as the iD14, with the exception of the ability to integrate outboard gear through two insert jacks. With this, you can insert outboard effects while making use of the onboard converters. Lastly, there’s the iD44 with 20ins/24outs for the serious music producer. The iD4 is the only model that can be bus-powered via USB, while the rest needs to be connected to a DC power supply. All of them offers up to 96kHz resolution and 24-bit audio recording. Strange to find that even the high-end model isn’t’ made to record up to 192kHz – but again, who records at that resolution anyway? 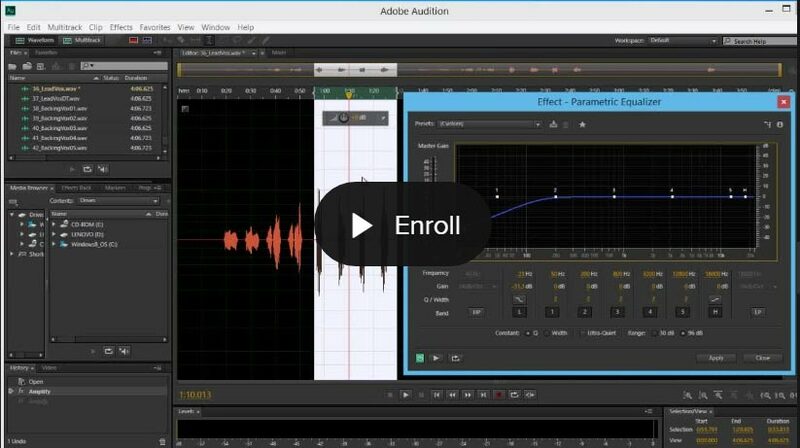 You’ll find two neat features on the Audient series. First, the ScrollControl which enables the volume wheel to also control your DAW & plugin parameters – useful for recording in automation lines. Secondly, the direct monitoring function with Monitor Mix is a neat feature that gives you near zero-latency monitoring. Superior sounding. A step up over the ‘budget’ audio interface. Hardly any. There are not many I/O connections (no MIDI, etc.) but it’s solid for what it is. You’ll hardly go wrong with the Presonus Studio 192 Mobile – an audio interface that offers high-resolution audio recording, up to 24-bit and 192kHz. It built in with Burr-Brown converters, known to be high-quality AD/DA converters and XMAX microphone preamps that provide high headroom when recording. The front panel is fitted with 2 combo jack that accepts XLR microphones or 1/4 jacks for line or instrument inputs. For the recording hungry, the interface is expandable up to 22-in/26-out via ADAT. Something that might attract you to the Presonus Studio 192 Mobile is the fact that it has DSP processing. This means you can record & monitor with effect plugins at very low latencies – almost real-time. Though there’s only one headphone jack onboard, so you’ll need to find a headphone splitter or amplifier in order to output to more headphones simultaneously. Studio 192 makes a nice audio interface for the bigger studio owner. If portability isn’t a concern, you might want to consider the bigger brother, Studio 192 – a rackmount audio interface with increased ins & outs, connectivity options and an onboard talkback mic. Handy for doing audio recordings in a two-room setup. DSP processing to include effects in monitoring feed. Free Studio One artist version. 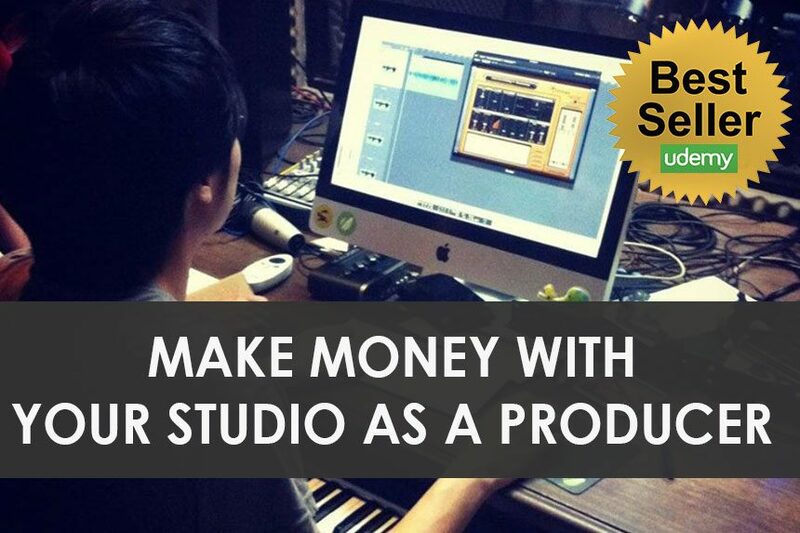 Enables you to upgrade to the full Studio One at 50% less. Presonus’s support is a little questionable. Make sure you know what you’re doing. The Apollo Twin MKII DUO is seen as an industry standard for desktop audio interfaces. And there’s a good reason for it. It comes built-in with superior converters, components, and pre-amps, with up to 24-bit/192kHz audio recording and playback. The Apollo Twin connects to your Mac or PC via Thunderbolt (yes cable is supplied), giving you extremely low latencies. The real-time UAD processing for tracking with effects are so well built that you can add multiple effects to your tracking feed and still get near-zero latency. There are 2 high-quality microphone and line pre-amps, with 2 line outputs for your studio monitors. You can expand the number of inputs with the ADAT connection. Besides being expensive, there is a steep learning curve to operate and record with the Apollo Twin. However, when the dust finally settles, you’ll find that it’s a highly configurable and powerful audio interface with loads of internal processing power under the hood. On top of the refinements made in the 2nd generation of the Apollo Twin, there’s now an additional feature such as the talkback and alt monitor switching, which you’ll find handy for recording work and doing cross-referencing when mixing. An amazing desktop portable audio interface if you have the budget for it. DSP processing feature is enough to convince you. Pricier option. Not beginner friendly. The fact that the RME BabyFace Pro is not exactly a new audio interface might demotivate you, but make no mistake in the quality of this audio interface. The BabyFace Pro is a 24 channel, USB bus-powered audio interface that records up to 192 kHz resolution. On the board, you find 2 XLR inputs/outputs, another additional 2 line inputs, and 2 headphone outputs. To extend your inputs and outputs, you would have to make use of the ADAT port and for an extended MIDI I/O, use the supplied breakout cable connector. It works well with USB 3 or USB 2 with no technical difference, allowing you to stay completely portable with enough power for phantom power. TotalMix FX, the software that comes with it will look old-school in terms of design, compared to most modern interfaces these days. You’ll find that TotalMix FX mimics a hardware mixer. However, that also means the routing possibilities are wide. You’ll love its flexibility upon getting used to it. Sound-wise, you’ll get transparent-sounding preamps with large headroom, good for most recording jobs. It has been claimed many times that you don’t even need another pre-amp to sound good with the BabyFace Pro. Just pair it up with a good microphone like the Neumann U47 and you’ll instantly get world-class recordings. On the front panel, the onboard meters clearly shows your input and output levels. You can also switch them to select In, Out or Mix. The Mix Mode conversely allows you to control input mixes independently to each output to control monitor feeds – handy for multiple recording & tracking setups. The BabyFace Pro is not exactly a cheap audio interface but its one of the best portable top-end interface you can buy in terms of sound, component quality, routing possibilities, solidness, flexibility & portability. It runs bus-powered on any computer, iPad or even as a standalone interface – making it really useful when thrown into any recording setup. World-class sounding with solid AD/DA converters. Proven solid drivers with low latency. Aging interface. Not for you, if you only go for the latest stuff. 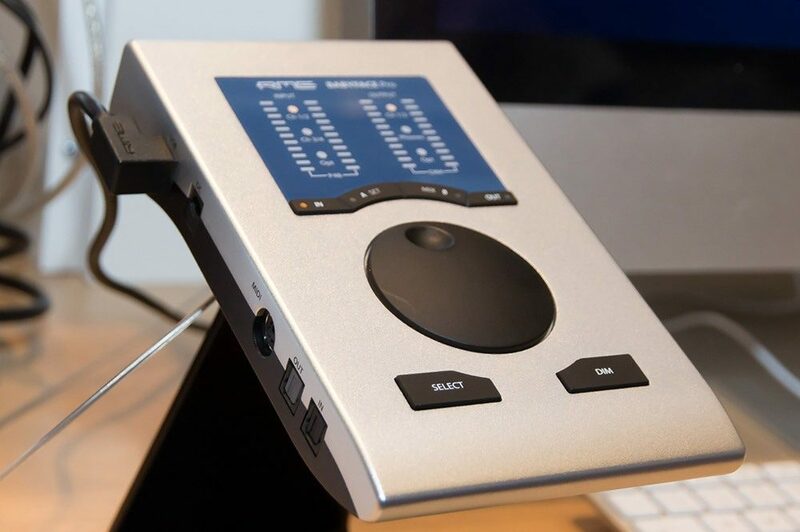 Apogee Duet used to be an interface that was made only for Mac. Sometimes through the years, they made a change an engineered it to work with Windows computers as well. In fact, you could also use it with iOS devices. Duet became popular because of its pristine sounding AD/DA converters and build quality. Meant to be portable & easy to carry around, it is aimed towards the musician or producers who want the best sound quality. To connect microphones and line instruments, you would have to use its combo breakout cable, for 2 inputs, making use of its world-class microphone pre-amps. You get up to 4 analog outputs for speakers and outboard gears. The LED meters are very responsive, accurate and helpful for recording and tracking – while keeping an eye to make sure the levels are where you want them to be. It’s not a budget option, but imagine having the best of Apogee technology, which are used in world-class studios – now built into a neat and portable audio interface that you can carry around. The Apogee Duet would make a good choice if you don’t do heavy multitrack recordings but you want the best sound in your setup. Clean gain and excellent sounding pre-amps. Now works with Mac, Windows & iOS devices. Limited amount of inputs & outputs. Not possible for surround mixing. The choice for studio owners who needs lots of quality inputs/outputs without breaking the bank. The Steinberg UR824 is not exactly a new interface, but I’d still recommend it as it makes a great centrepiece in most home or project studios. Featuring Class-A D-PRE microphone preamps, made famous on Yamaha N12 mixers, they are known to be very quiet even at low or high gains. 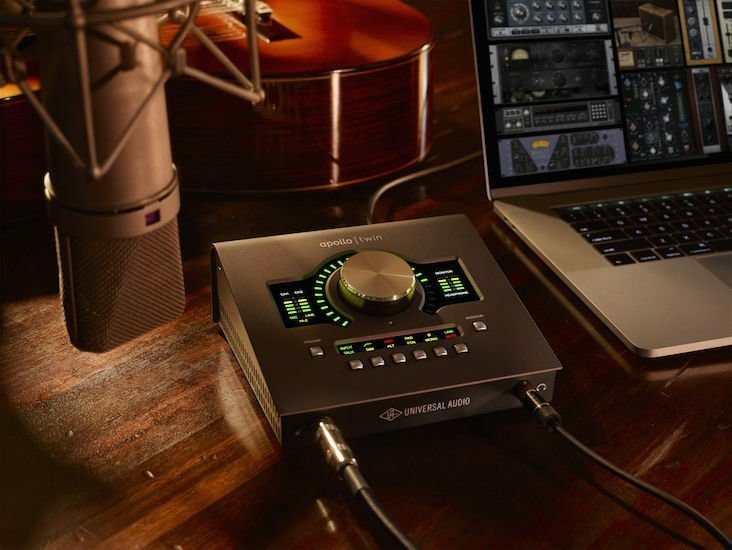 One of the best features about the UR824 is its DSP – the MixFx software. This enables you to record and monitor with effects – from reverb, EQ, compression and more. This is exceptionally useful for some cases, for example, when you’re recording a singer who needs to monitor their voices with some reverb. The UR824 has 8 microphone inputs and outputs, which would fit most recording scenarios but you can expand it up to 24-inputs and 24 outputs with the ADAT optical connection. You could consider the smaller, entry models, however, you’ll lose out on future-proofing – as the entry models do not have expansion options with ADAT. Additionally, there are two headphone outputs which are useful when making music with other producers. The downside to the Steinberg UR824 is that it’s an aging model & it’s hard to say when the driver support will be dropped. However, Steinberg has shown to be proactive in supporting users with drivers & fixes. Value for money and a good all-rounder. DSP processing for zero latency. Aging audio interface which could use an update. I’ve saved the best for the last. The Antelope Audio Zen Tour claims to be the king of portable audio interfaces. Best known for the good clocking system, high-quality AD/DA converters and onboard built-in DSP with effects like reverb, guitar amp simulations and more. The interface has 4 physical inputs and 8 analog outputs which are expandable via ADAT to 16 inputs and outputs, for bigger recording scenarios. The built-in DSP chip means you’ll get to have zero-latency recording with effects. Some of the onboard premium effects are modeled EQ’s, compressors and even guitar amps that sound really good. The interface even has 2 Reamp outputs, especially for sending your prerecorded tracks into a guitar amp for recording again – perhaps something that would appeal to guitarists. There’s also a talkback microphone for use in your studio. Something you don’t find in other interfaces, the Audio Zen Tour, actually has two connection options – Thunderbolt & USB. This means you really don’t have an issue with using the Audio Zen Tour with different computer systems that might have different connection ports. In addition, you can control your input levels from your iPad, iPhone & even Android device. Handy for remote controlling when doing solo recordings. It’s not cheap and for most people who are just starting out, I would recommend against getting the Antelope Audio Zen Tour. Unless you want the best and most powerful audio interface in the portable category. Recapping the features of Audio Zen Tour. High-quality preamps, solid clocking system & pristine AD/DA conversion up 24-bit/up to 192kHz and good-sounding modeled plugins. No portable audio interface has this many features packed into a small box. It is literally a studio packed in a small box ready for all your traveling needs. World class conversion & clock system. Expandable inputs for bigger recording & tracking. Comes with world-class audio plugins. Two ports (USB/Thunderbolt). What would it not connect to? Expensive. Features might not be necessary to most. The steep learning curve to understand the onboard DSP processing & software. At the end of the day, I’d advice you to get an audio interface and put more focus on your music. Before buying an interface, think about how long it’ll be able to serve your production needs. What you’re looking for here is an interface that can serve your needs for at least a few years. Which audio interface are you using now and why did you buy them? Share your experience below and another reader might just find it helpful.